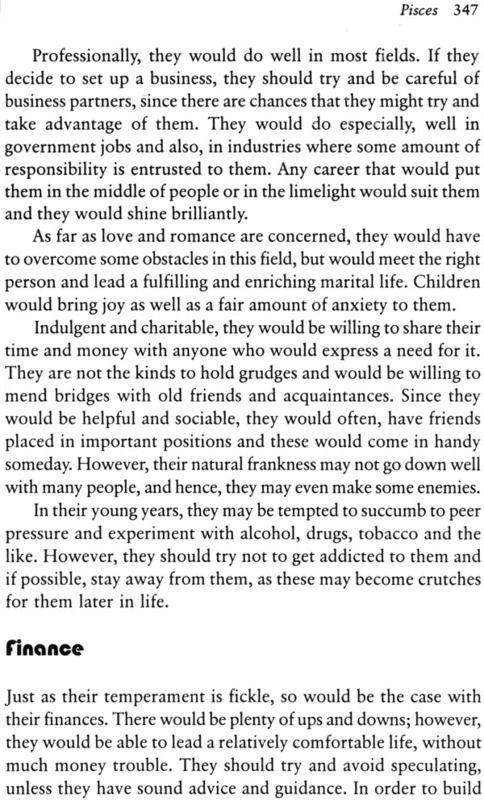 Your date of birth in a particular sun signs plays an important role in modeling your personality. 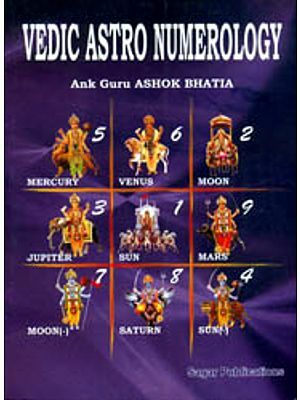 Numerology &amp;amp;amp; Sun Signs contains all the necessary information on general astrological knowledge pertaining to the influence of numbers on your sign. 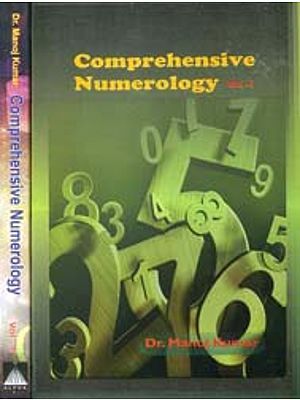 Numerology is a very important part of astrology, and is helpful to people if applied accurately. It is the study of numbers and the occult science by which the numbers reflect certain aptitudes and character tendencies as an integral part of the cosmic plan. 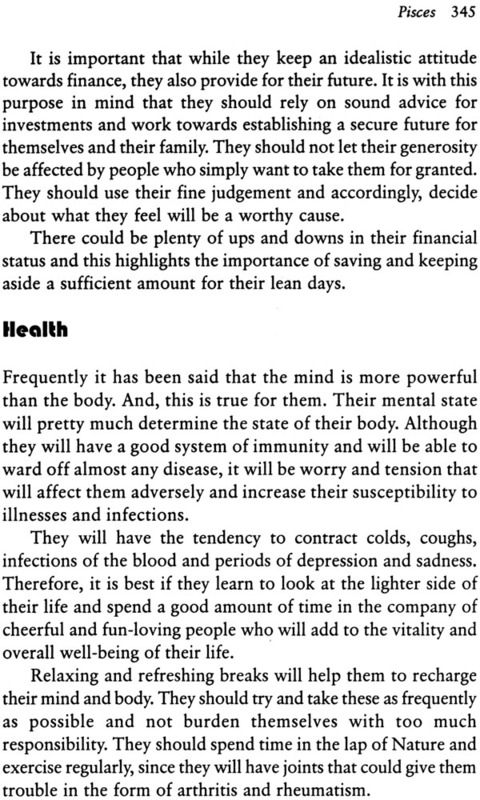 It is most advantageous when the person does not have a birth horoscope. 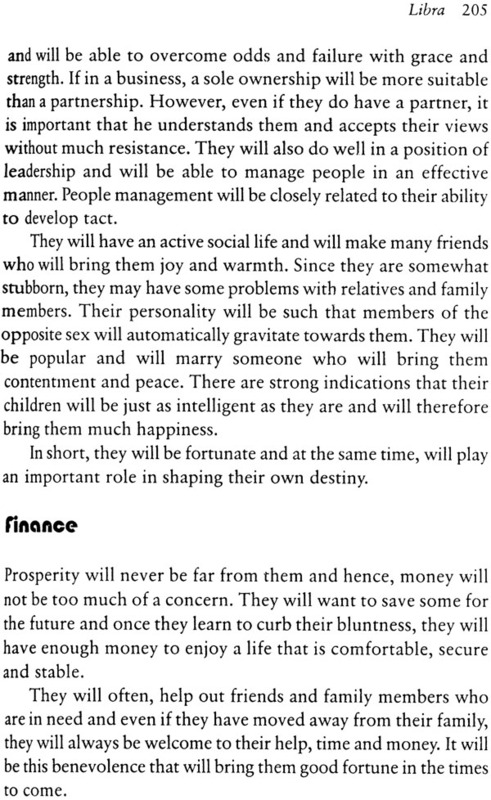 The author, P. Khurrana, has provided detailed information about career prospects, health, marriage and various other aspects of life through a reading of numbers. The contents are thought-provoking, his language simple and lucid, while his style and mode of expression are powerful and scholarly. 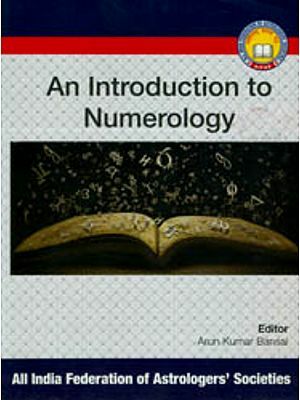 Students of astrology can use this book as a textbook, in which the subject of astrology in conjunction with numerology has been dealt with in an engaging manner. Astrology is a divine subject of the study of nine planets and their effect on the body. 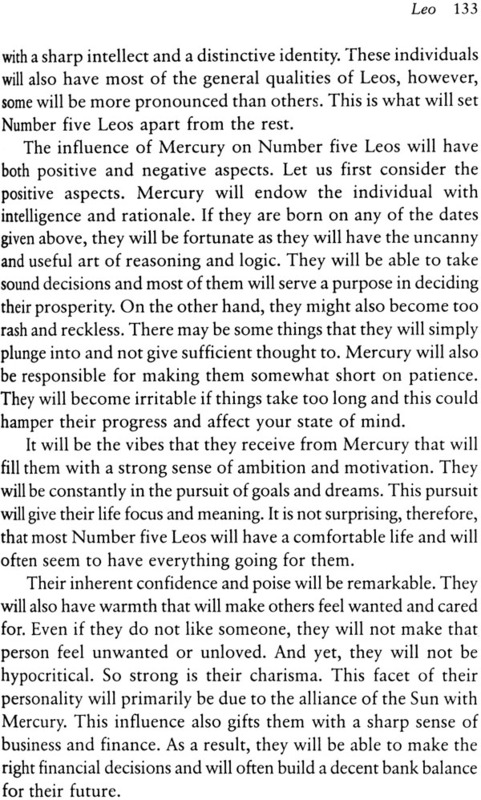 Astrology has been used to determine one’s nature and the direction of one’s life. 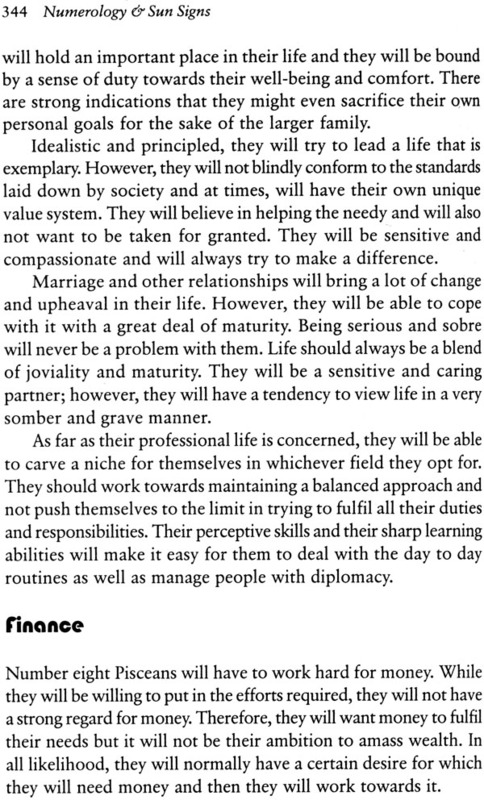 Each Sun Sign represents a different character…the capacity for love, intelligence, work, emotions, expressions, etc. 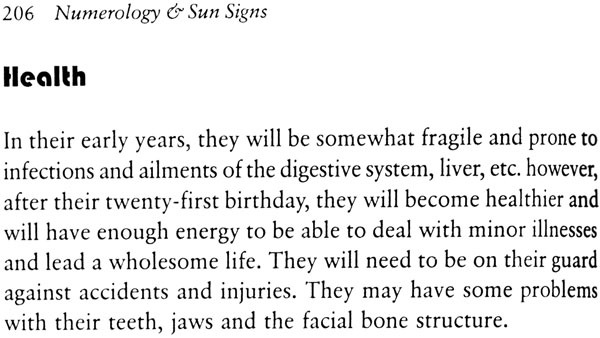 I have written one book titled SUN SIGNS. 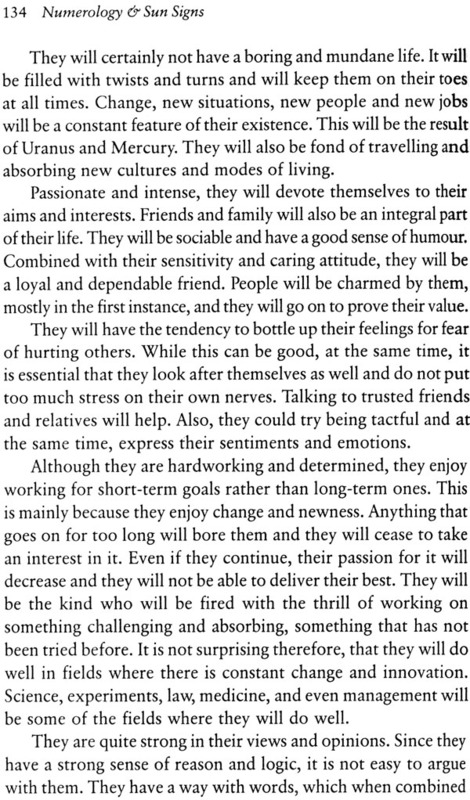 This is a simple form of astrology that can provide you with some interesting but rather general information about you and your personality. 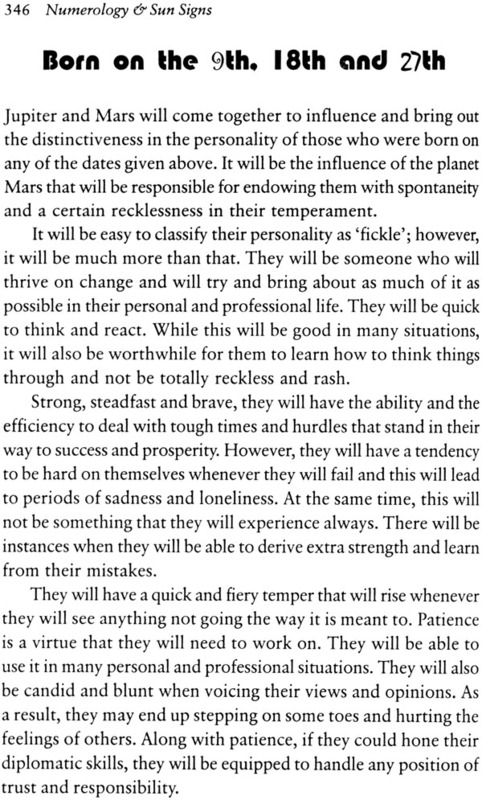 In the present book, we take a step further to reveal how your sun sign influences your date of birth. 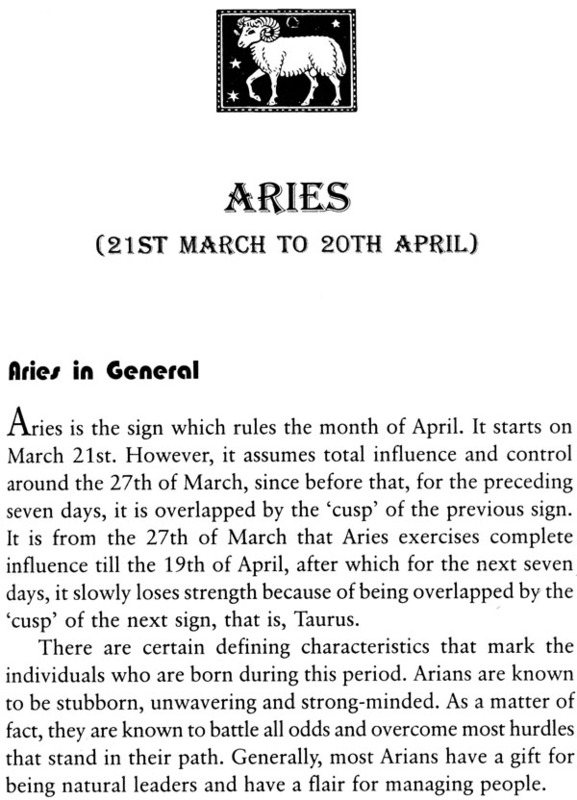 One may define one’s sun sign as that sign of the Zodiac which was occupied by the Sun when one was born. 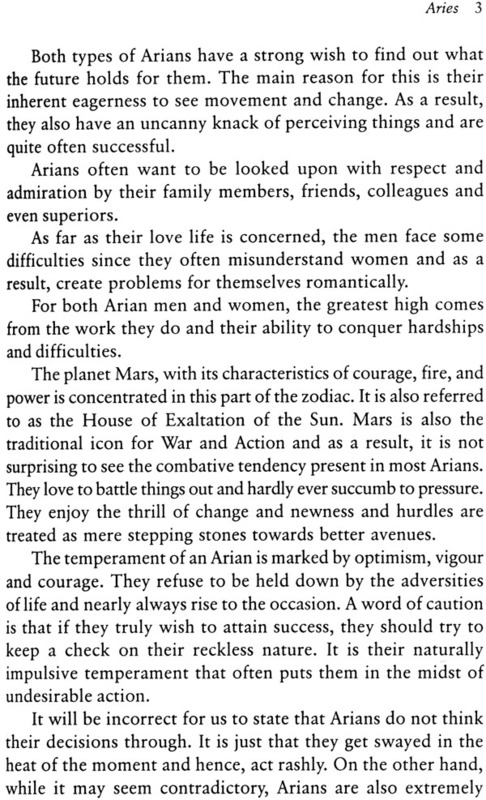 The world of astrological literature is filled with a plethora of books that explain the significance of sun signs. These books touch merely the surface of the science and give us but a glance at the intriguing, yet general characteristics associated with the individual and his personality. Our book goes deeper and shows numerologically how the Number, one to nine, in conjunction with your Sun Sign, impact your approach to your life. The question, ‘What’s your sun sign?’, is often used as an icebreaker in many conversations and once the answer is given, leads into animated discussions about the characteristics of that particular sign. 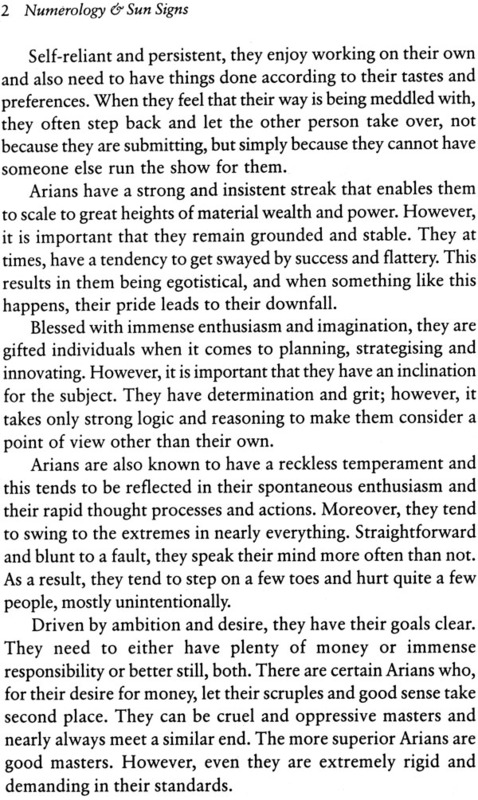 For instance, if you are a Scorpio by your Sun Sign, you should be a confident, energetic and independent person. 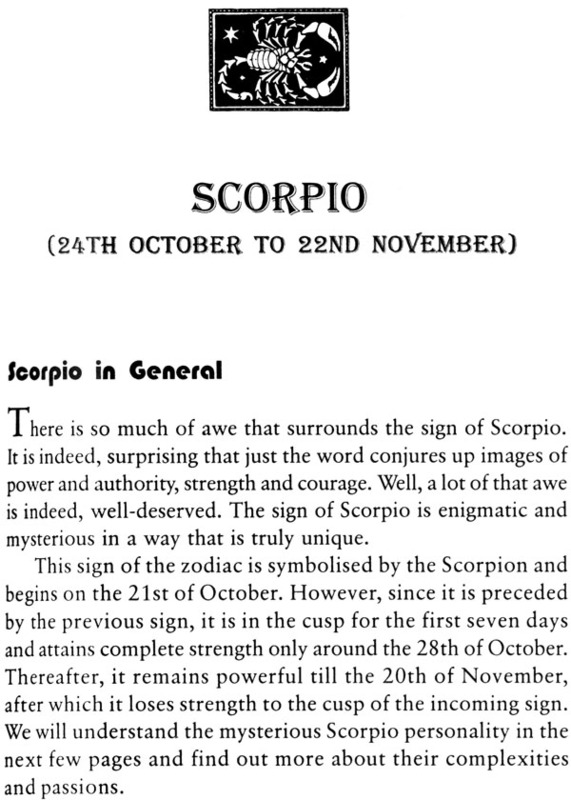 Yet, if born on 4, 13, 22 or 31 under the period from 24 October to 22 November, then you will be mysterious, creative and critical, something that is alien to the Scorpion nature. How can all sun signs have the same characteristics? It is a topic generally debated in parties and public. One person who is Taurus is wealthy, learned and well educated; the other is poor, ignorant and uncouth. The Sun Signs could not show these differences at first; that’s why the date of birth in a particular Sun Sign plays a significant role in fortune telling. The destiny of a child varies according to the influence of the Numbers when he was born. 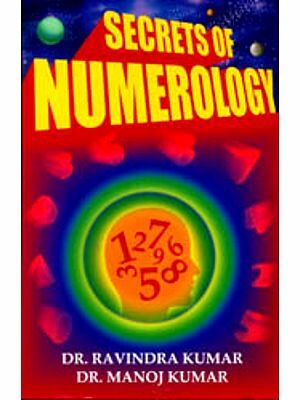 Linking numerology to astrology is a very difficult task but a very interesting science, which requires studying the science of Numbers 1 to 31 in a particular Sun Sign. Both are empirical sciences which should be studied by competent people. In order to gain a detailed insight into your personality, your date of birth plays an important role in moulding your personality. Astrology can affect the way you think and behave when you are in association with a person of different sun sign. 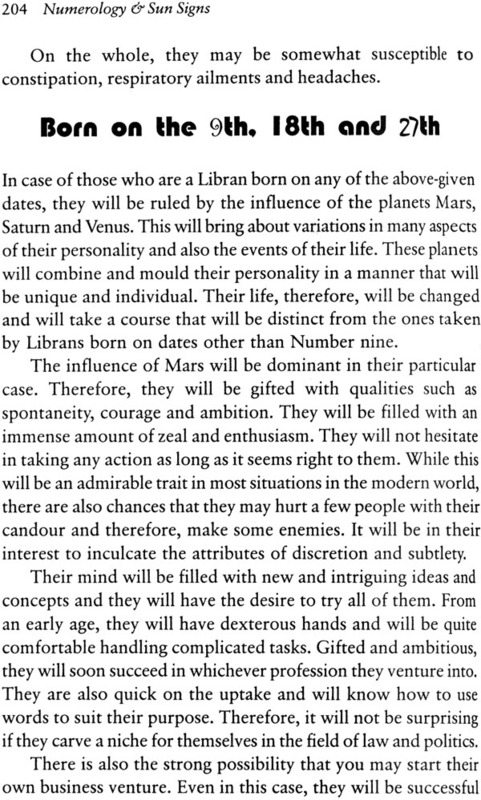 But your date of birth in a particular sun sign provides you with fascinating information about the complete characteristics of others. When you meet someone to whom you are attracted, sun signs and numerology can provide you with a valuable insight into his or her personality. It may even reveal unattractive characteristics that your prospective partner is trying to conceal. This book is a complete manual on numerology &amp;amp;amp; sun signs, and it is my sincere attempt to give my lay readers an understanding and in-depth meaning of every character they posses. The book contains all the necessary information on general astrological knowledge pertaining to the influence of Numbers on your Sun Sign. 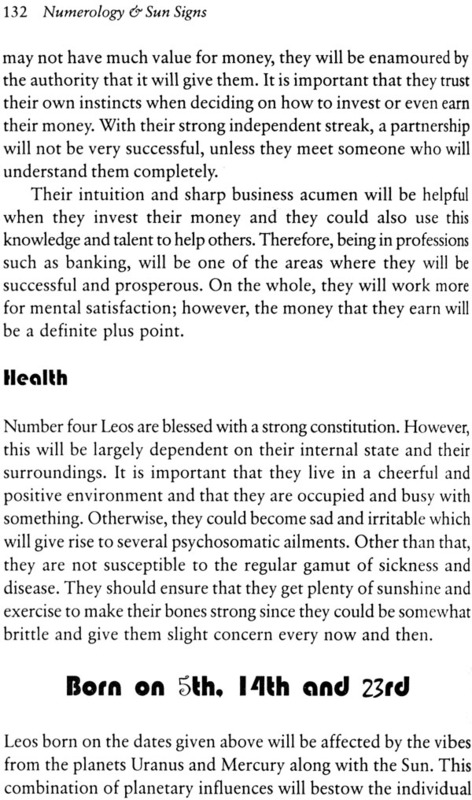 The book throws light on Numbers and their aspects in different sun signs. Numerology is a very important part of astrology and it helps people, if applied accurately. The book will help the serious readers to have a detailed information about their career, health, marriage and various aspects of life. The subject of Astrology in combination with Numerology has been dealt with in an simple manner by which a commoner can find out the basics of fortune telling. 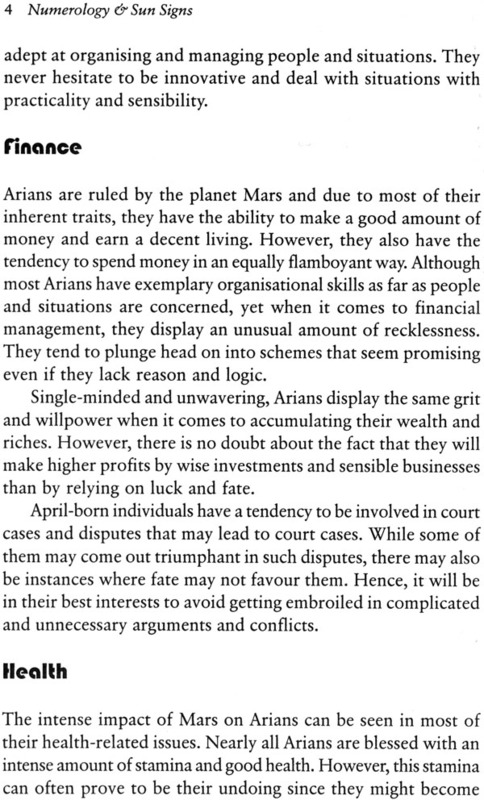 Students of astrology can use it as a textbook.